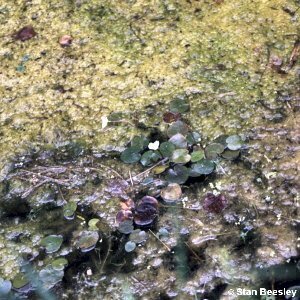 An aquatic species with thick rounded floating leaves and flowers about one inch in diameter with three white petals, each with a yellow blotch. A local species found in three main areas: Lough Erne; the south-east of Lough Neagh and the southern end of the Ards Peninsula. All names: Hydrocharis morsus-ranae L.